Celebrate your Fall Season with your afternoon program THIS Thursday 11/19 from 5:00-6:30 p.m.
See below where your group is gathering for dinner. Day students with rides and carpools, please let your carpool know. Boarders with special projects, the Dining Hall will be closed. If you would like dinner this Thursday, please let me know by Wednesday. Many thanks to the Dining Hall staff for helping feed over 500 of us! Congratulations on great work this season and good luck to varsity field hockey and girls varsity soccer in the playoffs! Boys JV B Soccer: 194 Main St. If you are not signed up or need to change your choice for the Winter Afternoon Program, please email Mr. Grant. Below are your options. 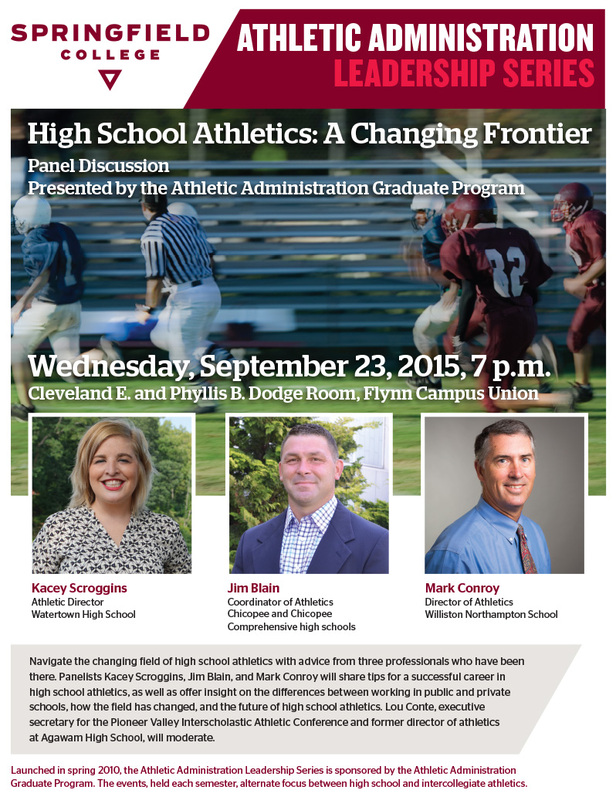 If you have further questions please stop by and see me. Students wishing to pursue any special project or exemption, including an outside sport, sport specialization, academic or art related endeavor, or any other type of project must apply to the Special Project Committee by Friday, November 13th. The application form for a Special Project may be found on WillyNet under Academic Resources. If you cannot locate it I will email you one. Next week is Williston‘s Breast Cancer Awareness Week! This year, the Varsity Volleyball team will be selling pink long sleeve shirts. The designs of the shirt are attached to this email. The theme for this week is WILDCATS WEAR PINK! We will be collecting the money when you come and pick up your shirts. You CAN use your Sammy Card. If you are planning on getting one, please email either me or Jada ( jgoodrich@williston.com ) with your size. Please try to come out and support our teams this week! Below is the schedule for team pictures to be taken on Friday, October 9 at Sawyer Field. As soon as the outside teams are done we will move inside for water polo, volleyball, robotics, tech theater, dance (4:00 p.m. or so). 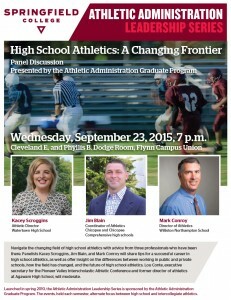 Director of Athletics Mark Conroy will be sharing his expertise on high school athletics at a Springfield College (Massachusetts) panel discussion tonight. Be sure to stop by if you’re in the area! The varsity softball team has qualified for the tournament for the second year in a row and will have a play-in game tomorrow (Friday) at Loomis at 3:00 p.m. Congratulations to the following players! Williston Employees and Students of all ages and ability levels are welcome! Come discover the fun of this unique activity. All are welcome. No previous experience needed. Let’s get more girls and female teachers out there. Team pictures are scheduled for Friday, April 17, below is the schedule. Teams will have their pictures taken on a first come first serve basis.